This homey dining room bench is perfect for a breakfast nook or more casual dining room setting. 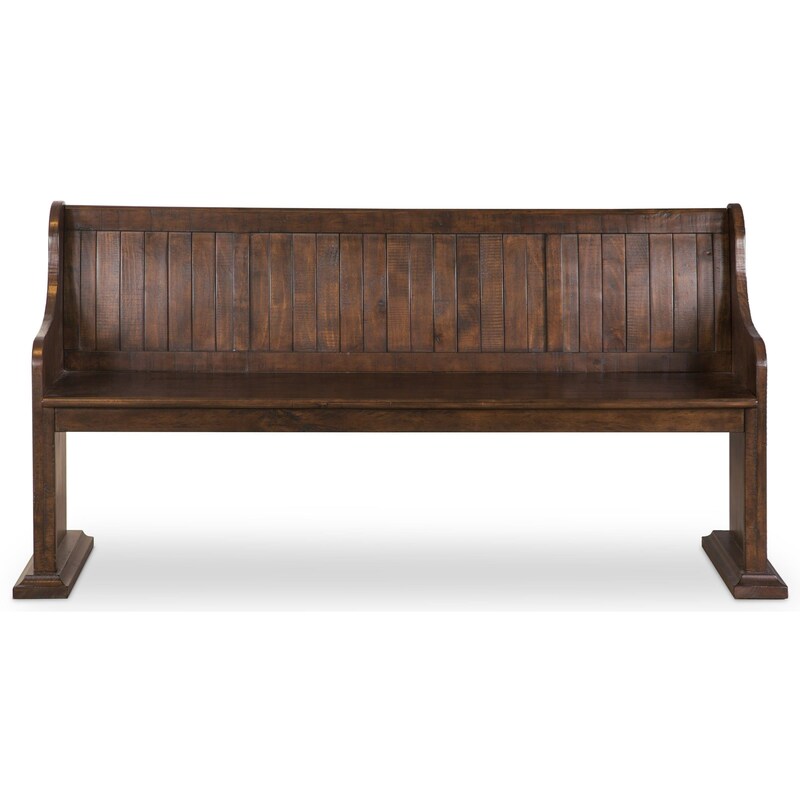 Drawing inspiration from church pews, the bench has curving arm rests and a planked back rest design. A rich dark finish completes the piece. The St. Claire Pew Inspired Dining Bench by Magnussen Home at Miskelly Furniture in the Jackson, Pearl, Madison, Ridgeland, Flowood Mississippi area. Product availability may vary. Contact us for the most current availability on this product. This wonderful dining collection features a rich brown finish and classically inspired designs with a little bit of flair. The centerpiece of the collection, the impressive table, has intricate pedestal bases, a motif also found on the server in the collection. The St. Claire collection is a great option if you are looking for furniture in the Jackson, Pearl, Madison, Ridgeland, Flowood Mississippi area. Browse other items in the St. Claire collection from Miskelly Furniture in the Jackson, Pearl, Madison, Ridgeland, Flowood Mississippi area.